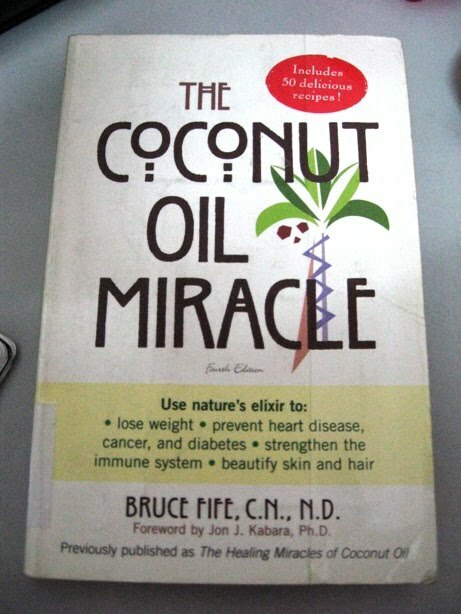 It's hard for me to find time to read a book, the only time I could do some reading is when I do my coffee enema that's when I could do nothing but lay down for a good 10-12 minutes waiting for the coffee to cleanse my colon once or twice a week, and at times I do some reading during my private time in the toilet, :D. That's why it takes ages for me to finish this 232-pages thick book. 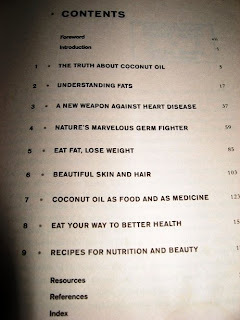 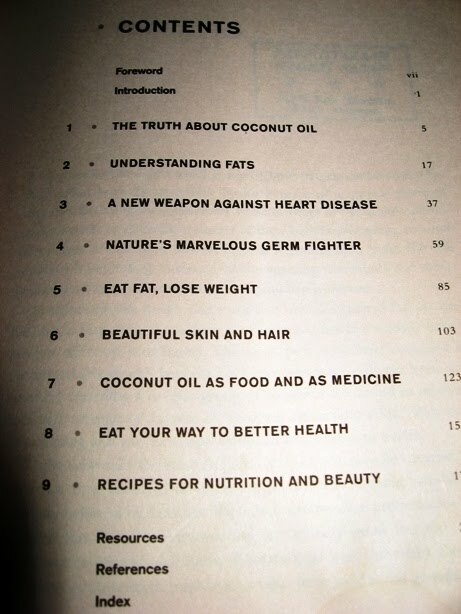 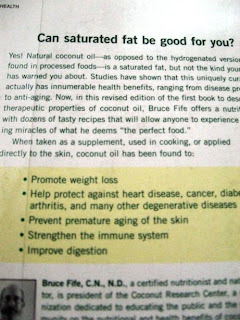 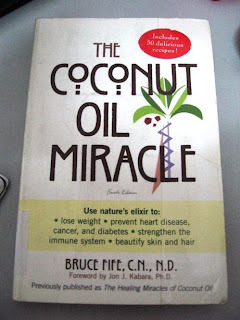 Like many others (before reading this book), I thought coconut oil is very fattening because of it is a saturated fat, this medium chain fatty acid is in fact promote weight loss, consuming coconut oil can actually helps reduce weight (first time I got to know eating fats/oil can be slimmer +_+), and it also provides a much healthy diet in strengthening our immune system thus protecting us from heart disease, cancer, diabetes and other generative diseases. 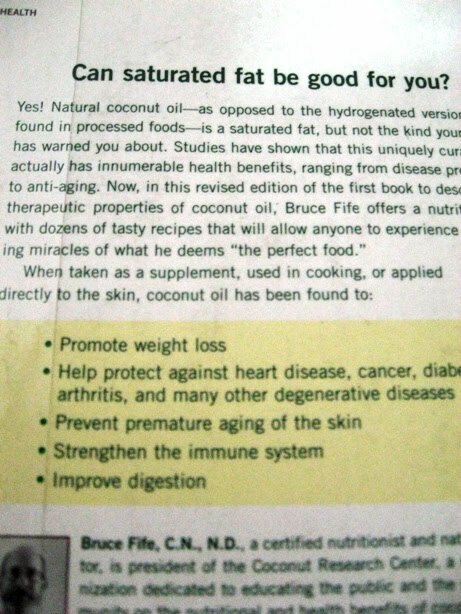 Help us to look younger too.